Role-playing games (RPGs) have a long history. Starting as tabletop games, role-playing games have also become very popular video games as well. In an RPG, players create characters and act out adventures with other players. As your character, you join other adventurers and go on adventures: you can save villages from monster attacks, dive into caves looking for ancient treasure, or stop an evil dragon from destroying a country. 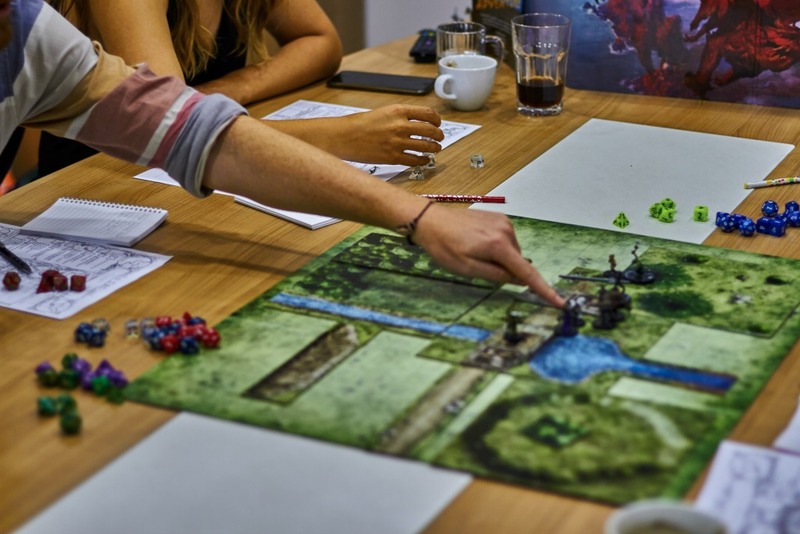 There are limitless opportunities in role-playing games and can be in many settings: science fiction and fantasy are two of the most popular options. The character you play is yours to create! Using dice to make certain rolls, you decide what are the character’s strengths, characteristics, and ideals. Then, as the game progresses, your character will gain experience and new abilities. First, you have to create a background to start with–in our Session 0 before your lessons, we’ll help you do that. Do you want to be an elf who is a wizard capable of making fireballs? Do you want to be a human criminal running from her past? 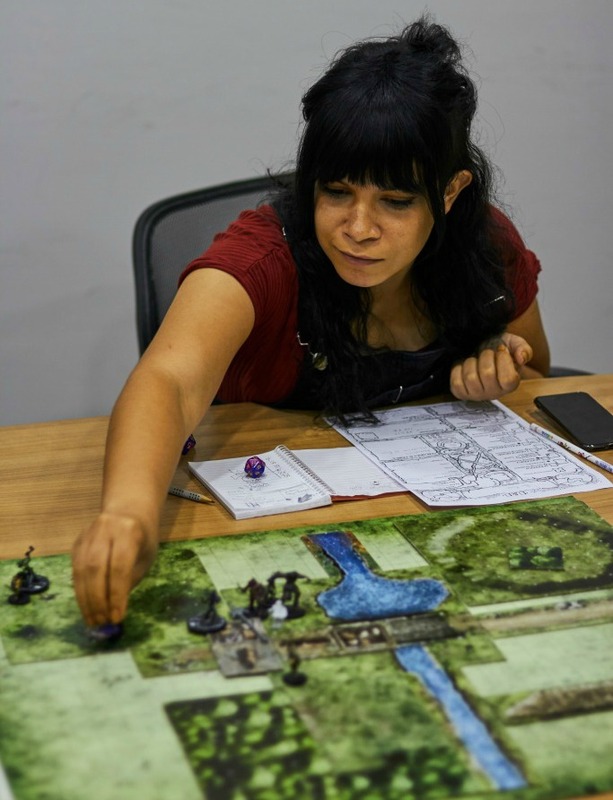 Or do you want to be a half-orc barbarian, more comfortable in the forest than in cities? Anything is possible. The best things about tabletop role-playing games (other than the fun you have!) are the skills you learn. For instance, RPG players gain better communication skills, get better at planning and putting ideas into action, and become better in social settings. These skills are all essential for everyday life, whether you need to use your English for school, business, or just normal conversations. 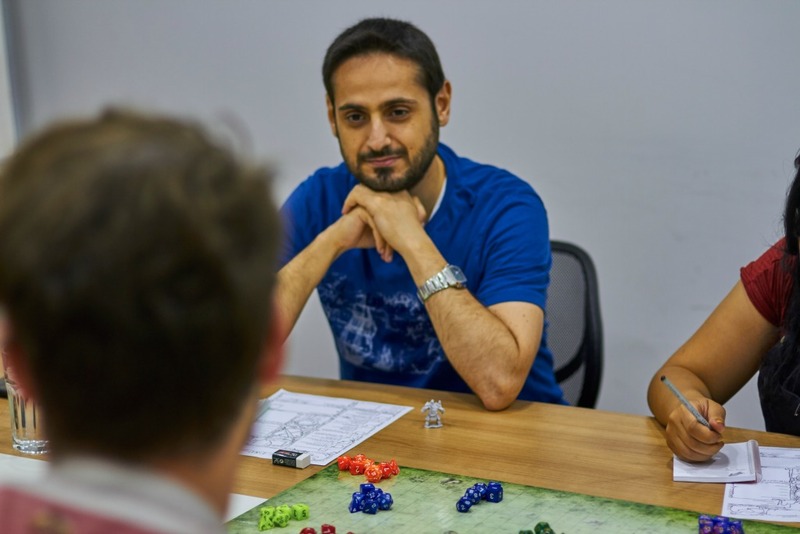 At DnD ESL, you will learn English by playing tabletop role-playing games and by playing your character. To do this, you will need to use your English Reading, Listening, Speaking, and Writing skills to help you along your adventure. As your character gets more powerful, you will become much more comfortable speaking English, and you will be able to use English in a variety of real-world settings.